The cold weather is making the life of Americans tough at the moment. The blast of cold air called polar vortex has created such a situation that people are finding it difficult to do daily tasks. There are a number of videos on internet showing the intensity of the cold in distinctive parts of the USA. In case, you have missed the videos, here is a compilation you can watch to know the situation the Americans are dealing with. 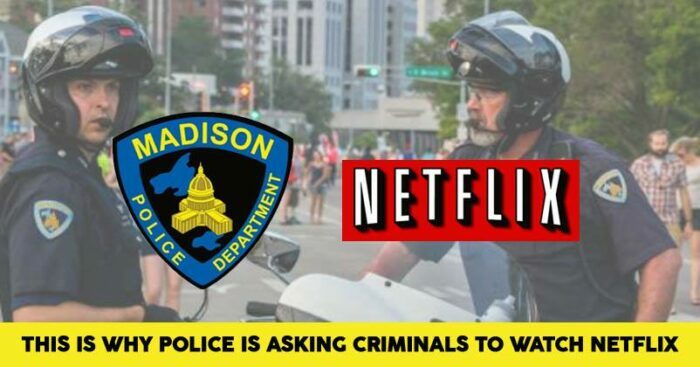 To ensure that no law is broken in the city right now, the Madison Police Department has come up with a funny solution. The officers have posted something really hilarious addressing to all the criminals in the area. Read the caption carefully, it will surely make you laugh. “Due to the extreme cold and wind, the Madison Police Department is canceling all misdemeanor and felony criminal activities. What are your thoughts on this funny post by the Madison police department? Do share your views in the comments section.